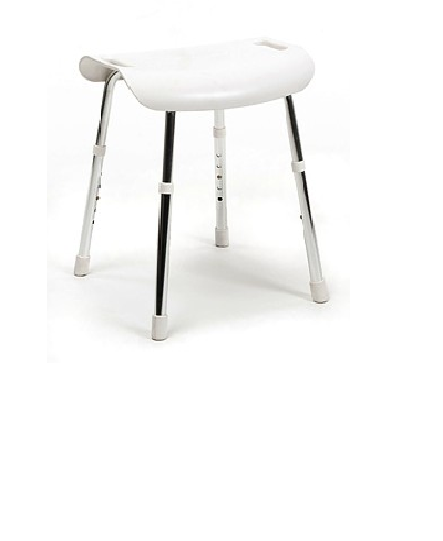 Practical bathroom seat, height adjustable bath stool with rubber feet. All 4 legs can be adjusted in height by simply pressing a button. For easy storage, all 4 legs can be slided inwards.